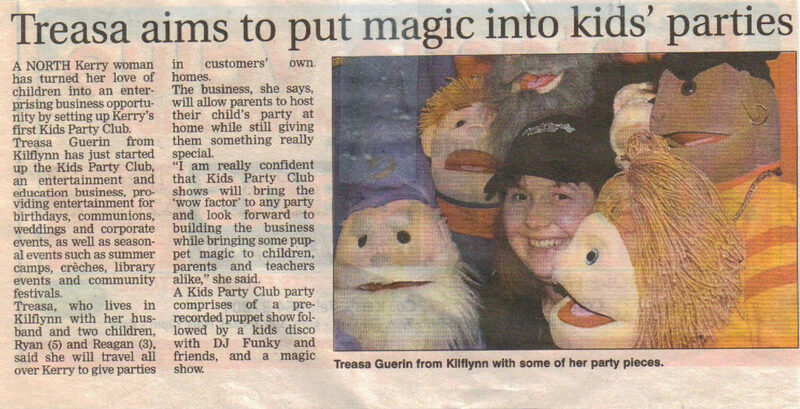 Treasa Guerin is a children’s entertainer in Kerry. 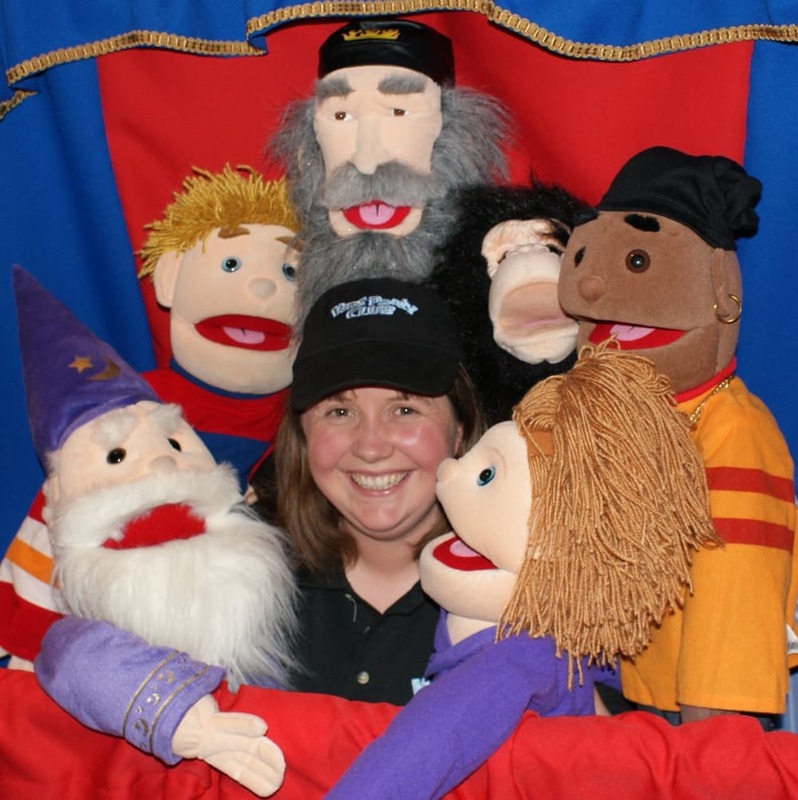 The centre piece of a Kids Party Club party is a great puppet show. Throw in a some magic and a disco and you have a recipe for a party the kids will never forget! Talk about made for the job!! Treasa has two young kids of her own, has been a scout leader for over 20 years and even has FETAC qualifications in early childhood play and education. And the good news for all you Kerry folk is – she’s all yours! Treasa and her deadly crew!